Although Japan is well know for its stodgy and, some might say, not exactly customer friendly financial institutions, there are plenty of ways to pay your phone bill without even setting foot in a bank. Just follow our fool-proof guide to paying for your wireless service and you will never have to worry about finding your phone shut down and the debt collectors knocking on your door. All mobile phone providers accept major credit cards, automatic bank transfer, and pay-by-institution. Both overseas and domestic cards can be used in most cases. However, you should double check with your local card issuer if you are paying with a non-Japanese credit card to prevent your account being flagged and locked as fraudulent due to “suspicious” overseas transactions. If you wish to pay via automatic bank transfer (自動振込 jidou furikoumi), make sure to bring a bank book, personal seal, and/or bank card. Many large banks such as Mitsubishi UFJ, Yucho, Mizuho and others have deals with major providers that require only your bank card and PIN number to sign up for bank transfer. Make sure your name (as written in roman characters) and your katakana spelling are the same on your bank book as they are on your mobile phone contract. Also, setting up a bank transfer can take anywhere from 2 weeks to a month provided there are no errors or problems with your application, the most common of which are discrepancies or misspellings in your katakana name and/or an illegible seal imprint. Your mobile provider will send you a notice in the mail if there are any problems with the application. If you set up bank transfer via a card and pin number then the processing time should only be a business day or two. As far as pay-by-institution is concerned, the company will send you a bill that can be paid in cash at a bank, convenience store, or at the company’s local store/outlet. In some cases, in order to make a contract, the shop may require that you register your bank account and/or credit card for at least one year. Keep in mind that, in most cases, these bills must be paid with cash only, even if the institution you are paying at accepts credit cards. Also, bills that are past their due date cannot be processed and you must wait for a follow up bill that usually includes penalty interests or late fees. Finally, if you pay via this method don`t forget to change your address when you move. Even if you use mail forwarding, it only lasts for one year and eventually your bills will stop coming. Address changes can be completed online or simply go to your local retailer with a valid ID and ask for a change. Finally there is the “Pay-Easy” method. Pay-Easy is essentially an alliance of various companies, public agencies, and financial institutions who have teamed up to allow you to pay your bills at the ATM or via internet banking. So far, only NTT DoCoMo offers this service but other providers may follow suit. Basically all you need to do is take your bill and bank card to a Pay-Easy-enabled ATM (usually these are marked with decals or stickers--see below) or internet banking service, type in your customer and billing numbers and either insert the money directly into the ATM or have it deducted from your account. Unfortunately the on-screen instructions are all in Japanese and a full description of how to use the service goes beyond the scope of this article. 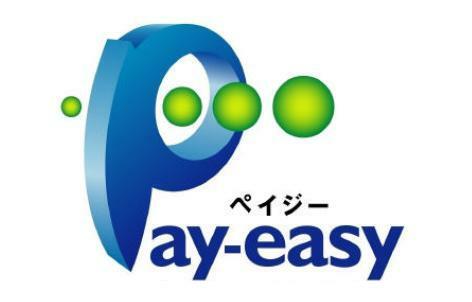 However, the PayEasy trade group offers a handy guide easily accessible for anyone who can read intermediate to advanced Japanese. As usual, check back for our next mobile phone installment where we will show you how to use one of the most popular features of Japanese mobile phones, mobile e-mail.